Finally! An excuse to blow bubbles with a straw! 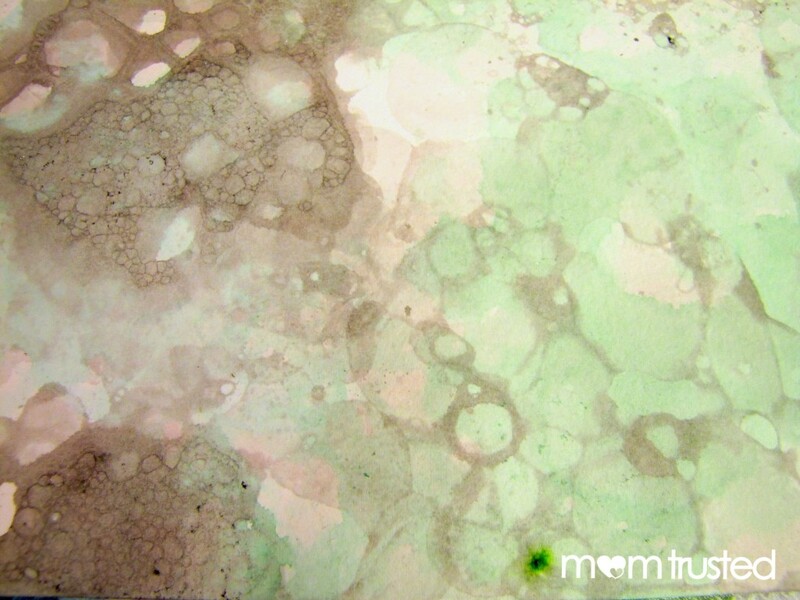 Combine liquid watercolors and dish soap to make these memorable monoprints. 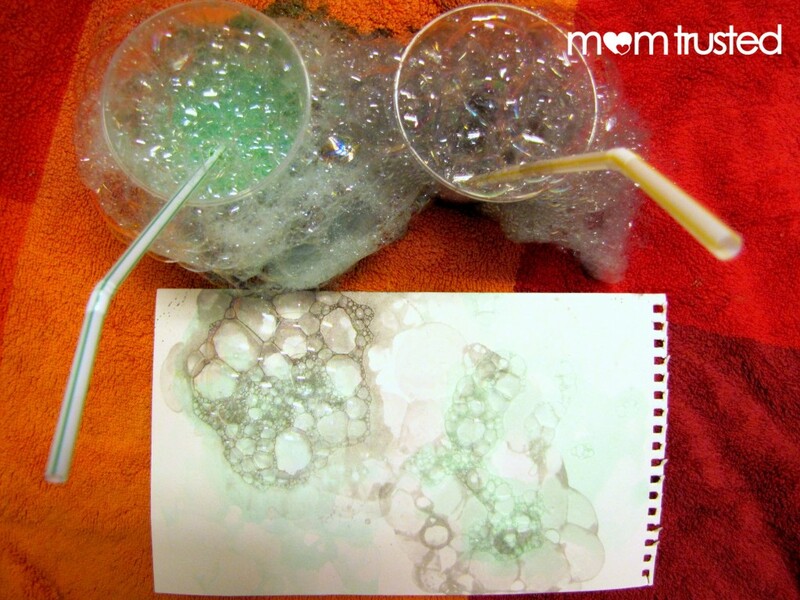 Begin by gathering your supplies, and finding a good spot to make your bubble prints. This project is way better completed outside, or maybe if it’s rainy, on a big towel! It gets messy (fun). 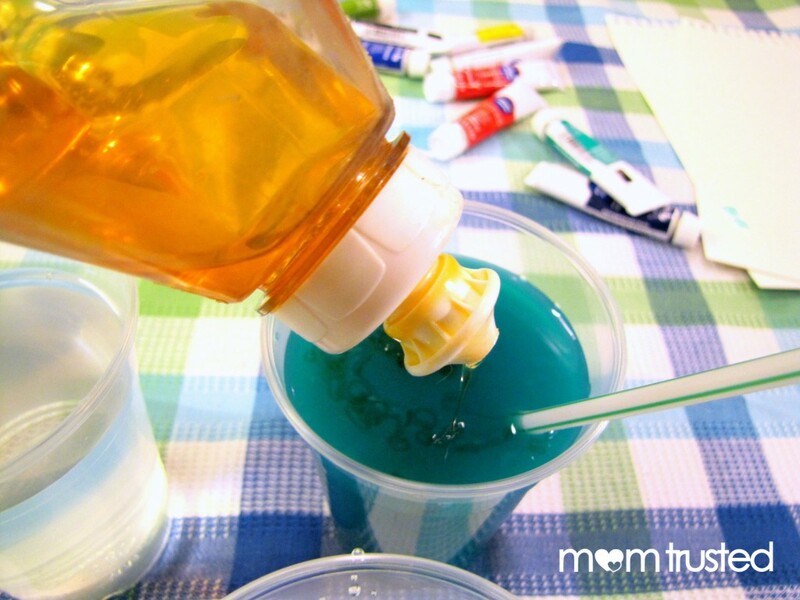 Fill each cup about a quarter full with water, then add paint. (We tried it with our cups almost all the way full, and found that they overflowed very quickly, and it took a lot of paint to get the water “painty” enough). At this point, get some small hands to stir-stir-stir – way longer than you think might be necessary! When it is really mixed up, add some dish soap. A few squirts should do it. 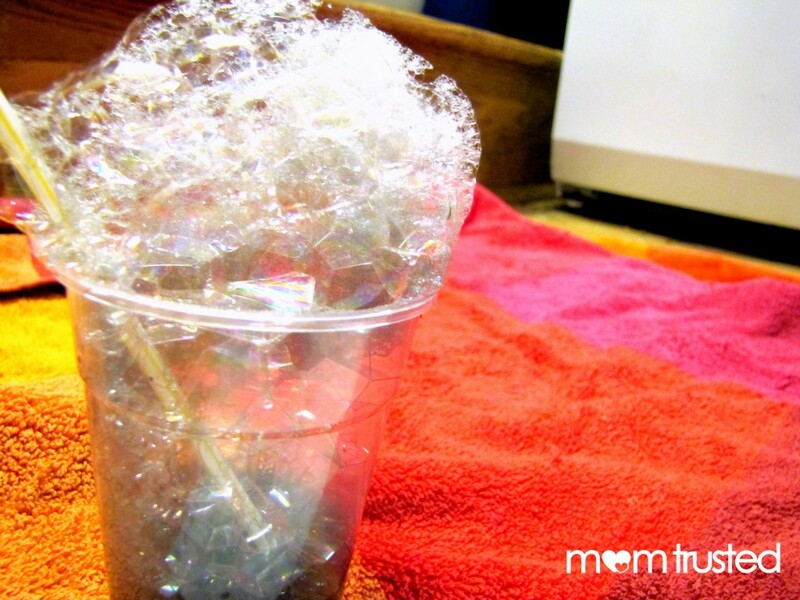 The kids will use straws to blow bubbles (make sure to take about only blowing OUT – not sucking in – yuck!). When the bubbles are overflowing, press your paper into the bubbles. Pull your paper off, and let the bubbles on it pop and dry while you start working on your next color! We overlapped black and green paint, and it turned out so cool! 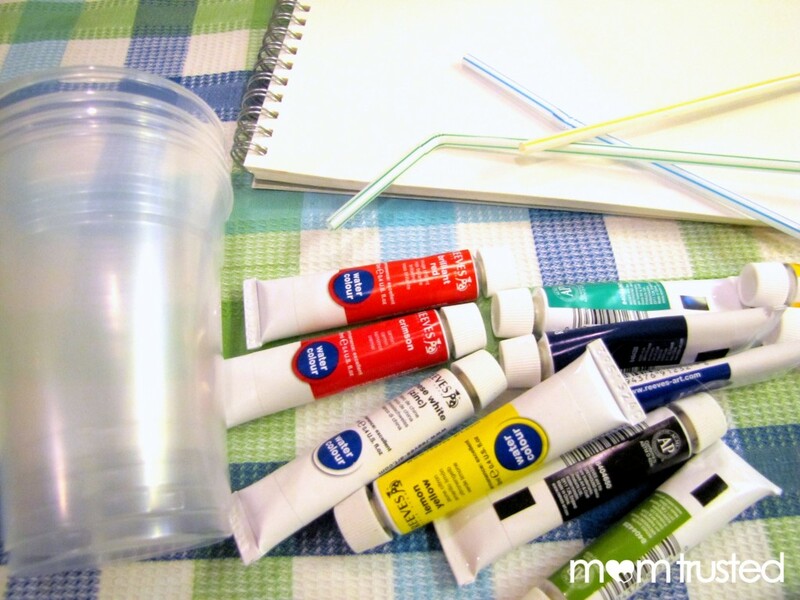 you may be able to use different kinds of paint! It’s worth trying it out with tempera or acrylic. Just make sure you stir it up super well. 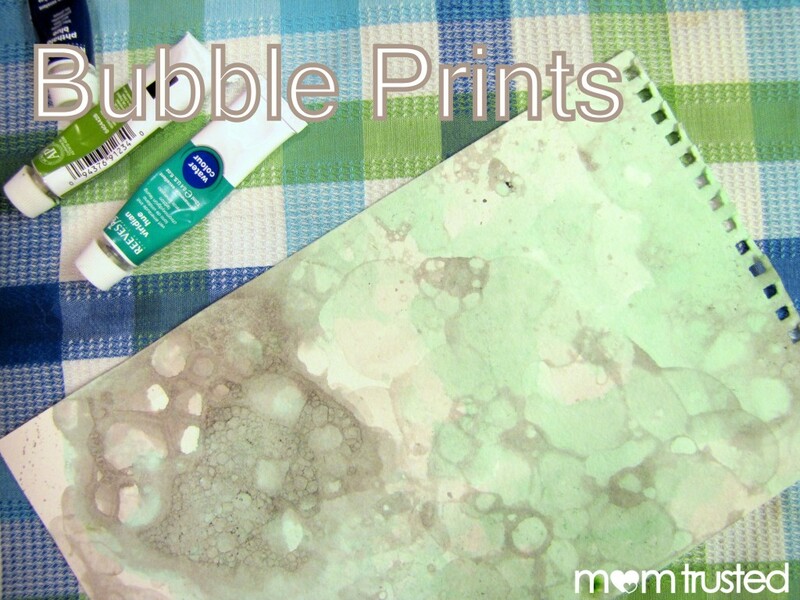 You can work on several prints at once, alternating so some can dry while you put more bubbles on another one. As noted before, this might be good to do on a towel (or out in the driveway) – look how messy our towel got! But totally worth it.